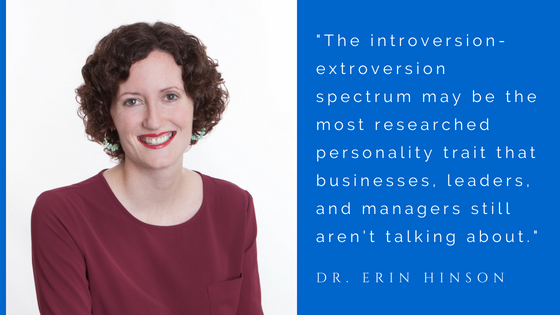 Dr. Hinson has constructed a short course on introverts in the workplace that will cover tips for introverts and education for extroverts. It is be a learn-at-your-own-pace deal, so you use it at your leisure. What it means to be introverted (and why we’re talking about hamster balls). The key differences between introverts and extroverts. How these differences dictate different office needs and behaviors. What introverts need in order to function well in any office environment, and with any particular task. How you can promote an inclusive office culture by accepting and empowering your introverts and extroverts. To get lifetime access to this wealth of knowledge, head directly to the course page – found here. We thank our partners at Kajabi for hosting this valuable learning. If you want to be the first to know about upcoming trainings, mini-courses, and content, sign up below for our once-a-month email digest. To get a taste for some of the topics covered in the mini-course, check out our first installment of Cuppas and Convos below!